Steven Gullotta Dark Electro After the release of 2014's "Wax Wings Will Burn", Shiv-R released a remix album on Infacted Recordings featuring track-for-track remixes from various artists, allowing them to climb to the number one spot on the DAC. Following upon that success, the duo announced a remix competition for the song 'Eye of the Needle', allowing anyone and everyone to hand in their remixes for a spotlight on a brand, spanking new remix album. With so much talent inputting a remix, Shiv-R picked thirteen different remixes from the competition to come out on a digital only release brought by their in-house label Blind Mice Productions. Properly titled after the remixed song, "Eye of the Needle" not only contains the previously mentioned thirteen remixes, but three additional remixes from past sessions. Just to give a list of the amazing talent that collaborated on this album, remixers include: [SNUFF], Thanosmylonas, Nigen, Basezilla, Restriction 9, Cursed Earth Corporation, Reactor7x, Cold Therapy, Cellhavoc, Binaural Silence, Void Prototype, Valkyrie X, Psygore, Mekotam, and Benjamin'sPlague. Shiv-R went above and beyond to insure that these lesser known artists would get the spotlight shone upon them. Not everyone's tastes will be the same, but if I had to personally pick any one remix that I felt was extremely well done, it would be the first track on the album. [SNUFF]'s remix of 'Eye of the Needle' was a beautiful acoustic piece that strictly focused on guitar and voice and nothing more. I could see this song being used as a calm intro song to a violent old-American Western film, the kind that Clint Eastwood and John Wayne would be proud of. Sure, this won't appeal to all you electro-junkies out there by far, but I absolutely loved it and I applaud [SNUFF] for doing something so different. Shiv-R's "Eye of the Needle" is an excellent showcase for talented artists whose potential has yet to be tapped by many in the scene. Label owners, take note of the artists on this album; they may rise soon enough and become the next big thing. After the release of 2014's "Wax Wings Will Burn", Shiv-R released a remix album on Infacted Recordings featuring track-for-track remixes from various artists, allowing them to climb to the number one spot on the DAC. Following upon that success, the duo announced a remix competition for the song 'Eye of the Needle', allowing anyone and everyone to hand in their remixes for a spotlight on a brand, spanking new remix album. With so much talent inputting a remix, Shiv-R picked thirteen different remixes from the competition to come out on a digital only release brought by their in-house label Blind Mice Productions. 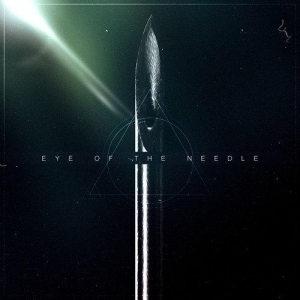 Properly titled after the remixed song, "Eye of the Needle" not only contains the previously mentioned thirteen remixes, but three additional remixes from past sessions.